The GDP-100 Grand Piano by Gear4music combines style and practicality for the home or stage environment. 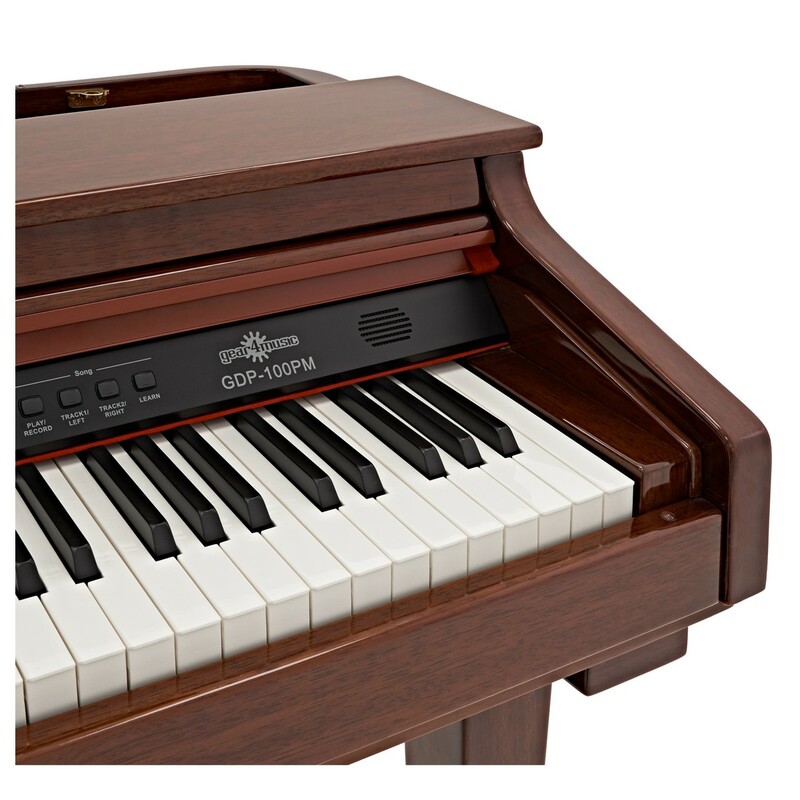 The GDP-100's 88 weighted keys have a consistent response that allows expressive performance. The voices built into the GDP-100 cover both modern and traditional music styles, making it an instrument to suit all. The LCD screen offers easy navigation throughout the piano's features. The GDP-100 also benefits from USB and MIDI out for directly recording tracks. The stunning polished mahogany finish is a timeless look. The GDP-100 combines style and playability to deliver an affordable digital grand piano that adds a touch of class to any setting. 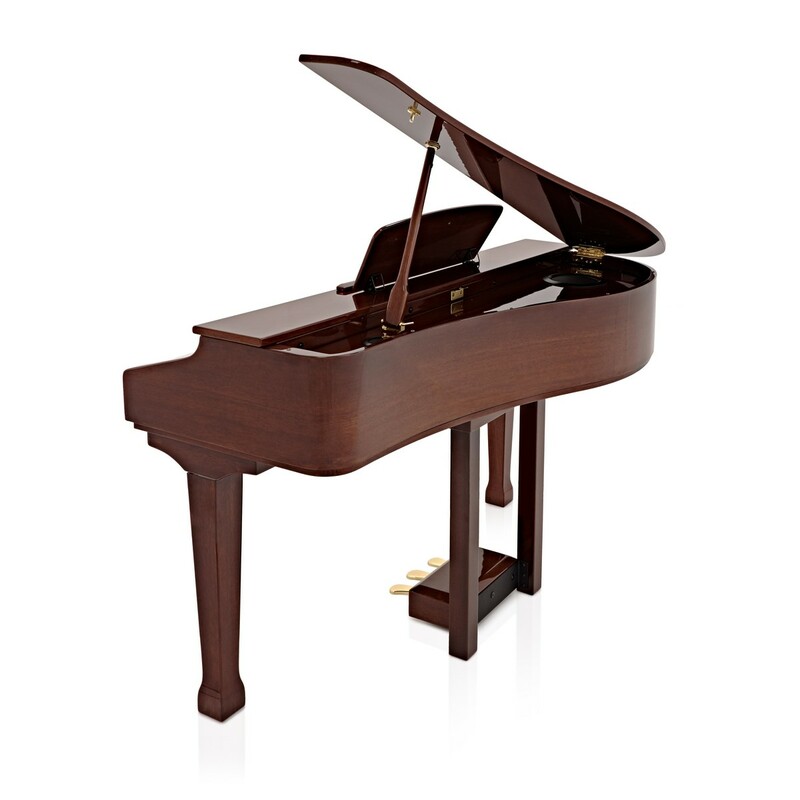 Encased in polished mahogany this piano is ideal for both beginners and seasoned pianists looking for a compact alternative to a grand piano, without the hassles of tuning and worries of humidity. 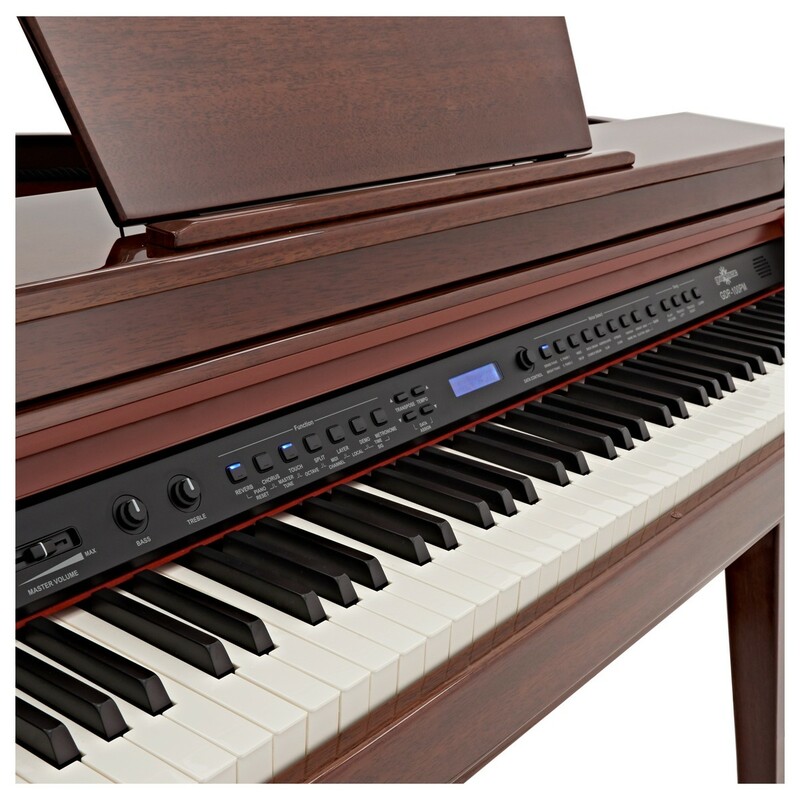 Featuring a full size keyboard of 88 weighted keys with adjustable touch response, this piano has an authentic feel that is designed to mimic a grand piano but at an unprecedented price. As well as this, the GDP-100 has 16 high definition instrument voices, including the default grand piano, two different styles of organ and even an upright bass. Some digital pianos can quickly run out of notes during fast, dense, legato passages - sustained notes are cut off as the instrument drops notes to make room for new ones. The GDP-100 has an ample 64 note polyphony, meaning you are able to play the most intricate of passages without the worry of notes dropping in and out. 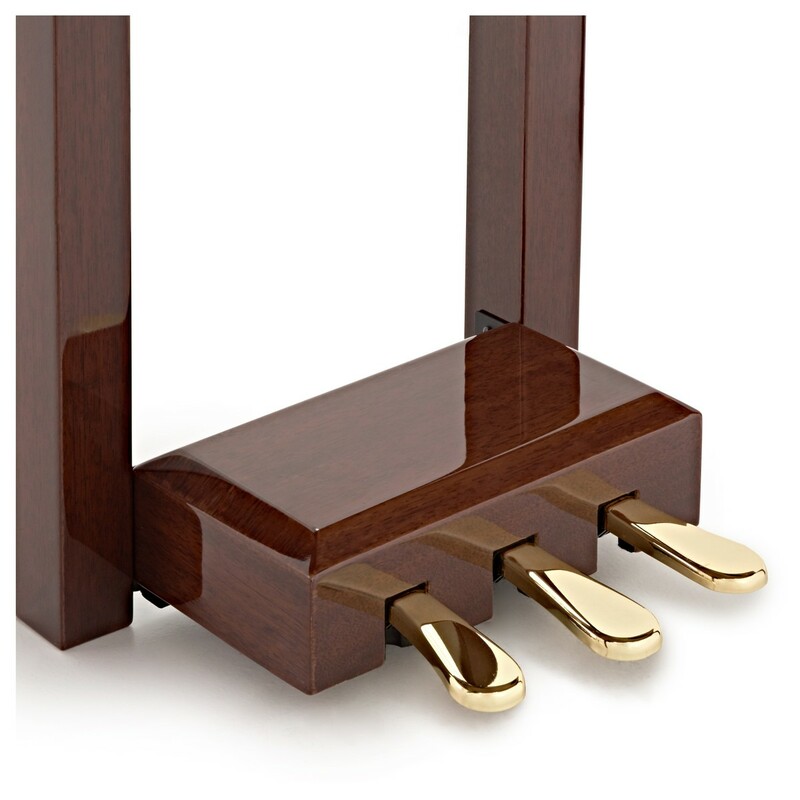 For authenticity the GDP-100 features the 3 pedals found on a traditional grand piano – Soft, Sostenuto and Sustain, great for advancing pianists looking for an instrument that can grant them full expression. Moreover, you are able to adjust the tuning of each key, change octaves and transpose the whole instrument all at the touch of a button. As well as having a great selection of voices, the GDP-100 offers a variety of functions and effects to keep you inspired when practicing and composing. The layer mode means you are able to layer two voices on top of each other to create richer sounds and make your pieces truly unique. The split mode means you are able to play the bottom half of the keyboard in a different voice, perfect for a bluesy walking bass line in the left hand Also featured are reverb and chorus effects, so you can create richer, thicker sounds as if you are in a concert hall! The GDP-100 is the ideal instrument for students, with a fully adjustable metronome and the ability to play along with any of the 55 inbuilt songs in the left or right hand, at your own pace. The piano is also a great tool for composers, with full MIDI capability and the ability to record up to two separate tracks that are stored internally and can be played back at anytime. 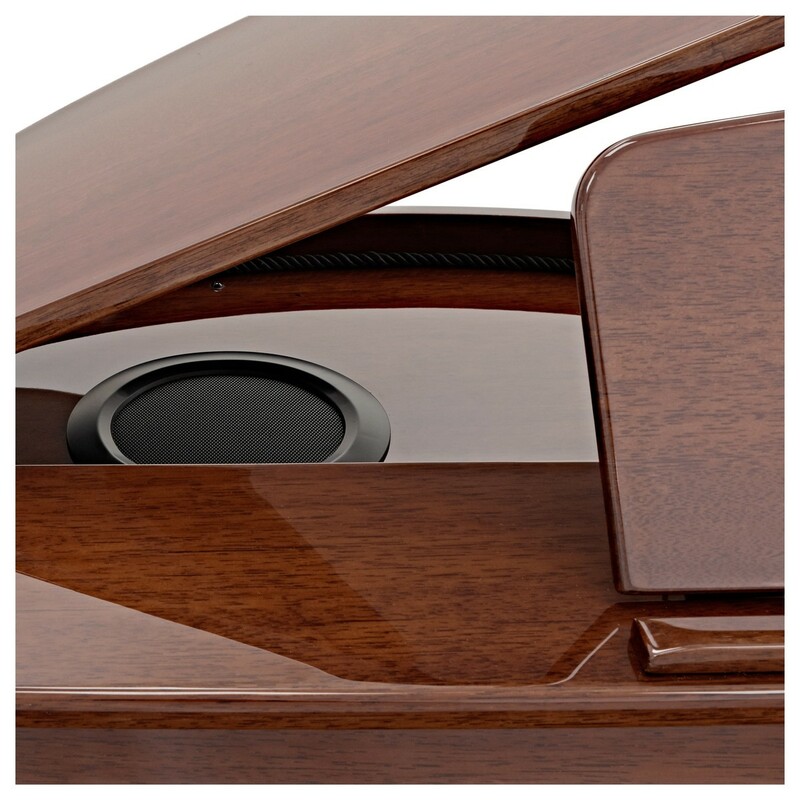 The GDP-100 has 2x 20 watt speakers featured under the lid embedded into the cabinet, making the piano nearly as powerful and resonant as it’s acoustic counterpart. 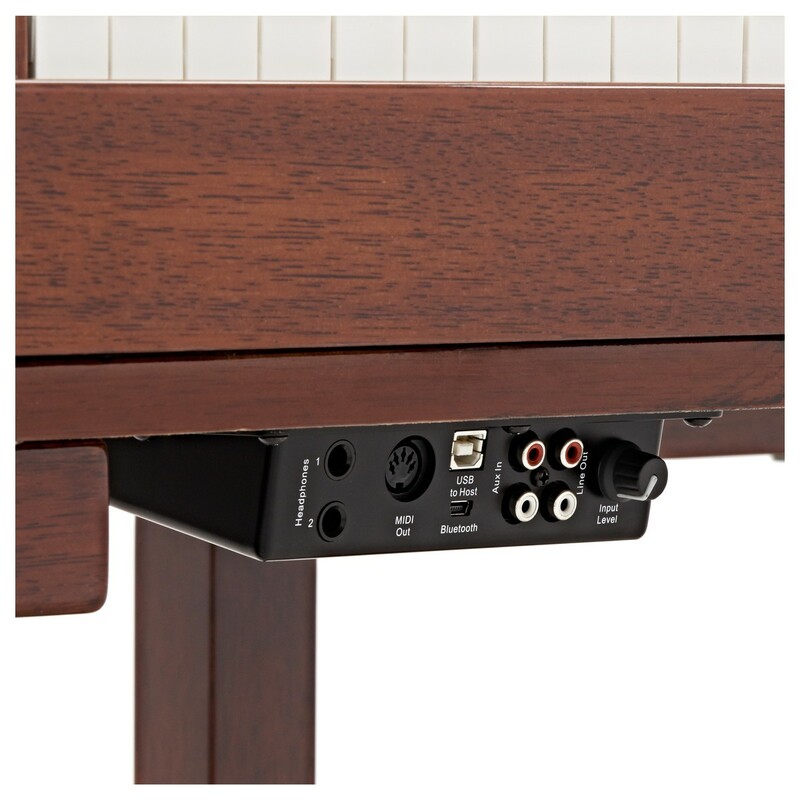 As well as this, the piano has an auxiliary input so you are able to plug in and play music from your phone or sound system, or you can use the included USB bluetooth dongle for wireless connectivity! 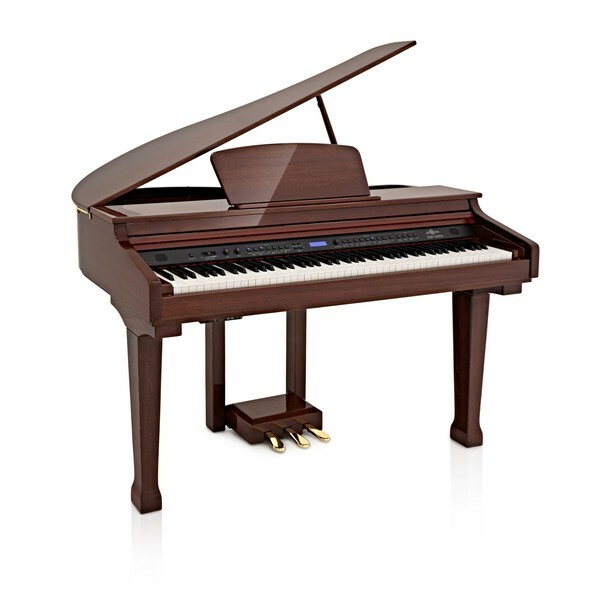 With brilliant touch and playability, ultra-realistic sounds and plenty of professional features, this is a highly sought after piano. This Gear4music GDP-100 offers a winning combination with the elegance of a traditional grand piano and the features of an advanced digital. The GDP-100 is also available in a great value stool pack, including a high quality, glossy darkwood piano bench.